Lake Balboa Park – Lake Balboa Homes For Sale. Lake Balboa Park is located in Anthony C. Beilenson Park an 80 acre water recreation facility within the Sepulveda basin. Lake Balboa is the centerpiece of the park. This 27 acre lake is filled with water from the Tillman Water Reclamation Plant is teaming with wildlife, and even a babbling brook.. Take the family for a day filled with fishing, boating, walking/jogging along the 1.3 mile jogging/walking path or biking, remote-control boating or plan ahead and reserve one of the many covered picnic areas. There are lots of options for the whole family at the Wheel Fun Rentals – Bicycle Rentals at Lake Balboa Choose from their selection of unique cycles, including Surreys, Choppers, Quad Sports, Deuce Coupes, tandems and cruisers, we’re sure to have something for everyone! Suitable for all ages. 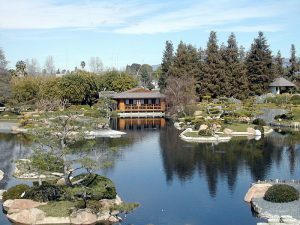 Lake Balboa Park – Lake Balboa Homes For Sale. UPDATE 2019: The median home value in Lake Balboa is $597,000. Lake Balboa home values have gone up over 7% over the past year and it is predicted that they will rise 6.7% within the next year. The median list price per square foot in Lake Balboa is $414. The median price of homes currently listed in Lake Balboa is $579,999 while the median price of homes that sold is $566,600. The median rent price in Lake Balboa is $3,000. The average sales price of a single-family home in Lake Balboa during March 2014 was $425,000. The top price paid for a Lake Balboa home in the same time period was $525,000. The current average list price for Lake Balboa Homes For Sale is $575,000. The top price paid for a Lake Balboa Home in the first part of 2106 was $755,000. Prices in the area are expected to increase about 7.1% over the next year compared to a 6.1% increase for Los Angeles as a whole.